Tagline- Deadly Horrors! Dragon Thrills! 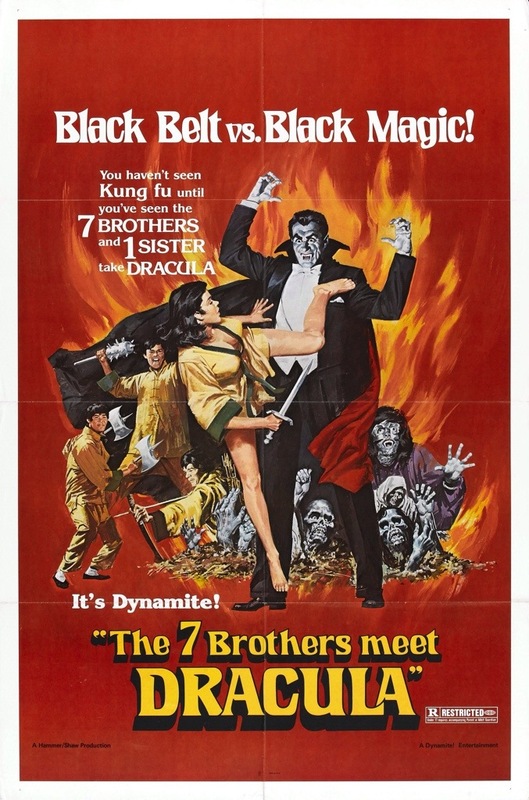 The First Kung Fu Horror Spectacular! Released in 1974 the Legend of the 7 Golden Vampires, which also goes under such titles as The Seven Brothers Meet Dracula and the Seven Brothers Vs. Dracula is a co-production between Hammer Studios and the Shaw Brothers and with both these companies involved fan expectation is bound to be high, but in the end at least for me it was a film that’s never quite sure what it exactly wants to be and while the film is entertaining in spots I also found it quite dull. On paper this film was probably a great idea mixing the style of Hammer and the Shaw Brothers, but for me something was missing, but with that said the Legend of the 7 Golden Vampires has built up quite a cult following and while I didn’t hate the film or anything I just didn’t really connect with the film as much as I had wanted to. 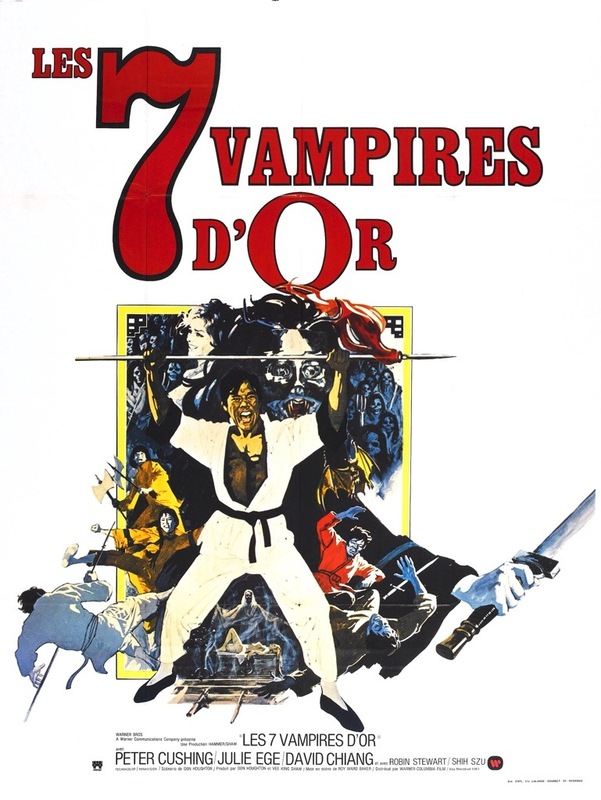 With the help of Professor Van Helsing (Cushing), 7 siblings help take down vampires terrorizing a small village in China. The screenplay was written by Don Houghton who also wrote Dracula A.D., the Satanic Rites of Dracula. The script by Houghton I felt was quite subpar with boring characters and while the concept is different and fun it felt too straight forward and while I’m not sure if that was the intentions, but to me at least it comes across as too seriously written when it would have been better served going for more camp value, which again it could have, but it just didn’t come across that way for me. 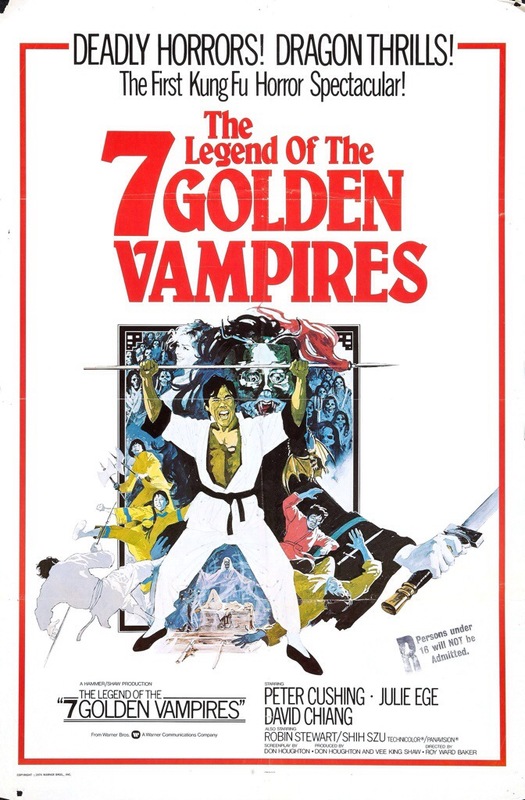 Legend of the 7 Golden Vampires was directed by Roy Ward Baker best known for such films as The Vampire Lovers, Scars of Dracula, And Now the Screaming Starts and the Vault of Horror to only name a few. Apparently this film was co-directed by Chang Cheh, but only Baker is credited. While the film has a fun setup, Baker plays things straight, which sometimes can add unintentional comedy to a film like this, but not here as the film lacks the fun it very much needed. The martial arts scenes are fairly well staged and fun to some degree, but nothing really stands out to be honest, but when all is said and done they’re effective enough. Pacing can be a bit sluggish at times, but the final act is when Baker (and Cheh) are able to deliver some fairly fun scenes, but not enough to fully salvage the film from average or just a notch below. Roy Ward Baker would make his final theatrical film in 1981 with the Monster Club, which starred Vincent Price, John Carradine and Donald Pleasence and after that he would only direct TV movies or episodes of TV shows before retiring in 1992 and Baker would pass away at the age of 93 on October 5th, 2010. Christopher Lee was offered the part of Dracula, but passed after reading the script, which isn’t much of a surprise and the role than went to John Forbes-Robertson. Peter Cushing reprises his role of Van Helsing for the final time and while the script was a bit of a mess, Cushing however brings a touch of class, but one has to wonder why he agreed to do the film in the first place. Either he just really loved the role of Van Helsing or the money was good. Outside of Cushing the only other real standout here was Shih Szu as Mei Kwei. 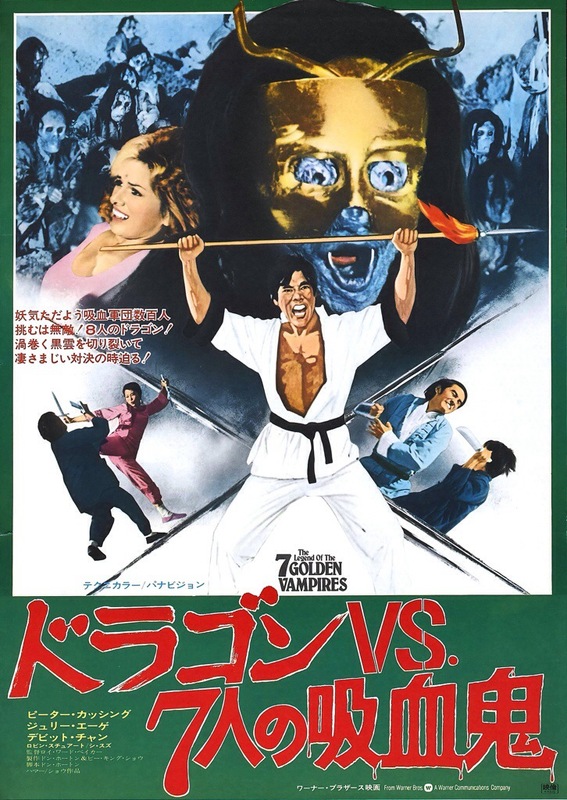 Despite my rating and mostly negative sounding review I didn’t dislike Legend of the 7 Golden Vampires, but I have no real desire to see it again anytime soon. While the film does draw mixed reviews it has built up a decent cult following, but it just wasn’t for me.